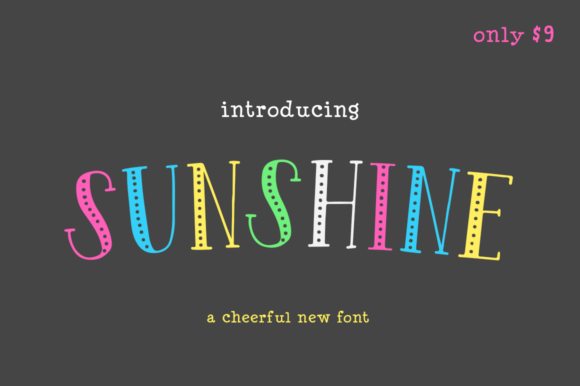 The Sunshine is a brand new uppercase font with two alternate styles. 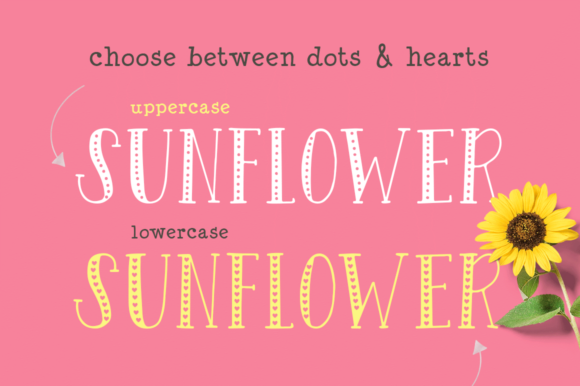 Type the uppercase characters out to get dots and the lowercase characters to get hearts. 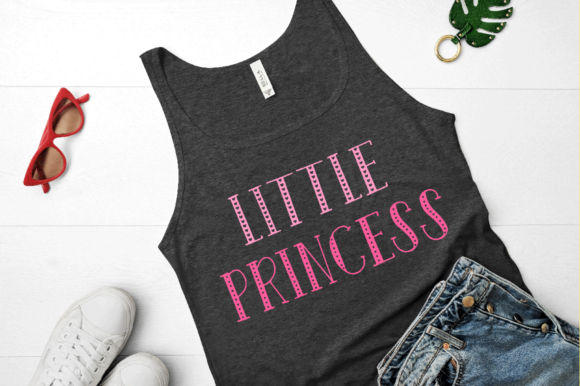 This super cute font set is 100% accessible to all, without the requirement for additional design software.